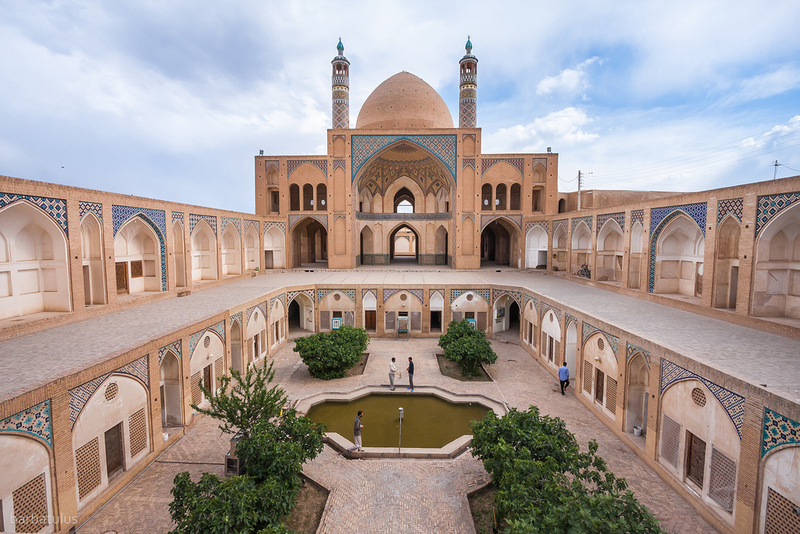 Kashan is one the most important city in Isfahan province which is located in Kashan-Qom road and the west of desert. This city is famous for its leathers, ceramics, copper dishes, rose water, and Ghamsar’s garden. This city is the very significant center of archaeology with its 7 thousand years of history. Kashan was very important and Shah Safavi focused on it a lot since there was Shah Safavi’s favorite city. Also, he commanded to bury him in one of the tombs of his ancestors after his death. Kashan is one of the most important habitations of Iran because of its mountainous and salt pan region. The festival of rose and rose water and carpet cleaning are the traditional rites which lots of visitors visit there. The handicrafts of this city are Pottery, woodcarving, coppersmith, tiling, silk weaving, drapery, velvet weaving, and carpet weaving. This city includes 48 neighborhoods, 50 passages, 74 cisterns, bazaar, and about 250 old houses. 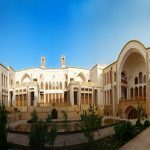 Kashan has totally 980 historical places and architectures. Tepe Sialk: this place includes two hills: A (3500 years old) and B (3000 years old) which is located in the south-west of Kashan. This hill was the place of worship of ancient people (Ziggurat) which was built with clay and pottery. These hills were discovered 80 years ago by flooding in farm fields. 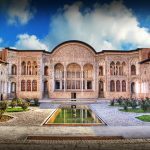 Fin garden: This garden is one of the most beautiful historical places of Kashan (23 thousand square meters) which was built in Safavi era. 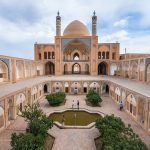 Fin bath: It is one of the most beautiful historical places which was built in Safavi era and Amir Kabir was killed there. 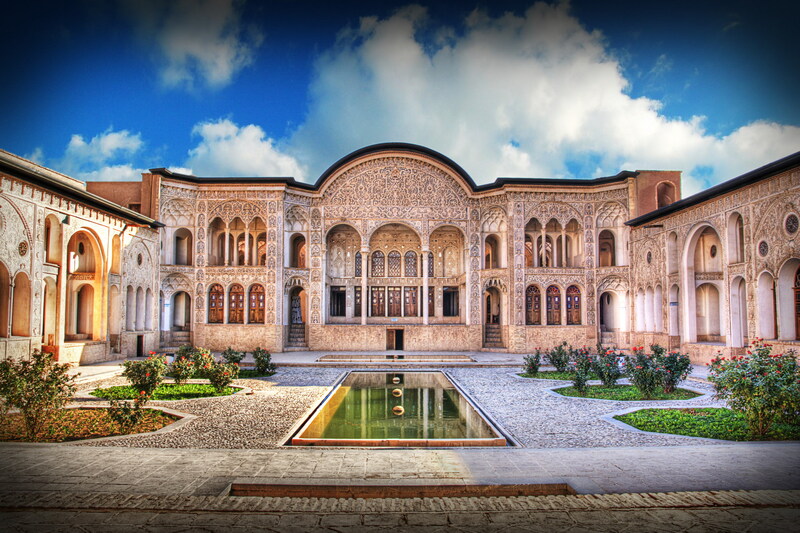 Kashan area is eight thousand and five hundred hectares which five hundred hectares include historical places. People bought historical houses and started to rebuild them by establishing the board of trustees. 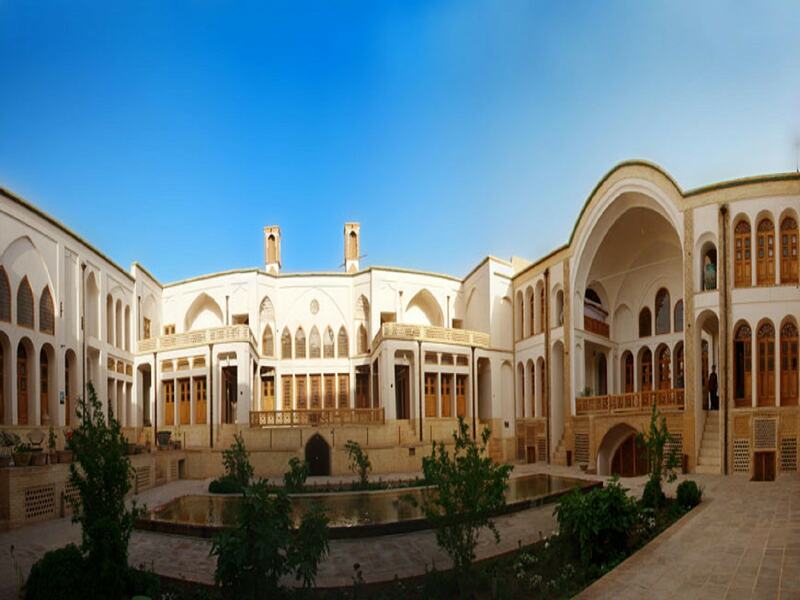 Then, Abbāsi House, Āmeri House, Tabrizi house, Gheraati house… and Sultan Amir Ahmad Bathhouse was bought and renovated. People celebrated some festivals such as rose and rose water, pomegranate and so and attracted both domestic and foreign tourists to them which have an important role in tourism development.